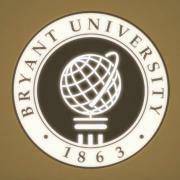 Alumni Engagement Day showcased the wide range of experience of some of Bryant’s most successful alumni. 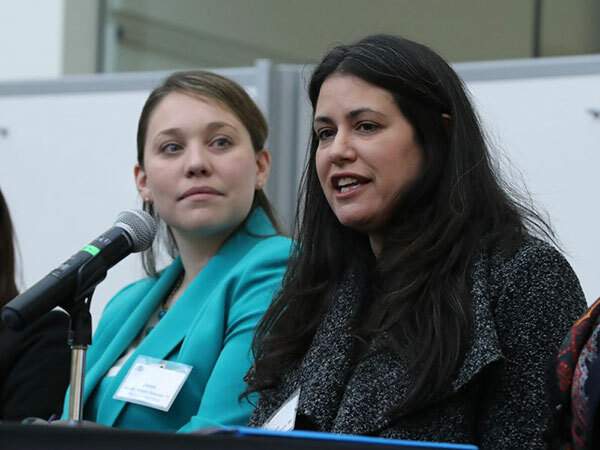 Alumni shared their expertise about pathways to success in the financial services industry, entrepreneurship, and innovation and opportunities in healthcare. The sessions were attended by students, faculty, staff, parents, guests as well as alumni. View photos on Facebook. 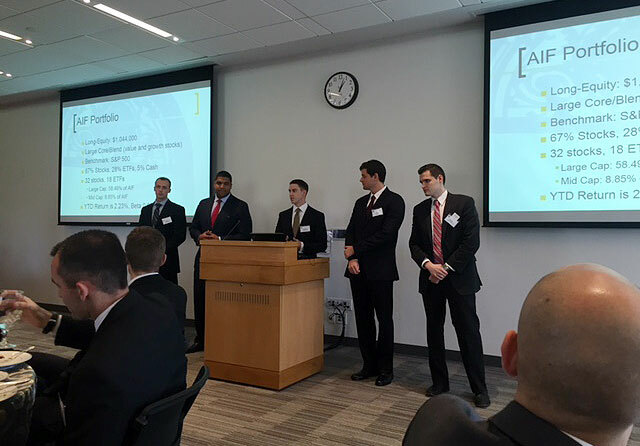 Archway Investment Fund program students hosted the 12th annual Financial Services Forum, a culmination of the students’ work managing a fund that has surpassed the $1.4 million mark. Current students to present their hands-on learning experiences to alumni and other distinguished professionals in the banking, finance, and financial services fields. The keynote speaker was Robert P. Brown ’86, head of institutional fixed income at Fidelity Investments. View Event Program. Archway Investment Fund students participated in the student-managed fund GAME Forum in 2016 and 2017. 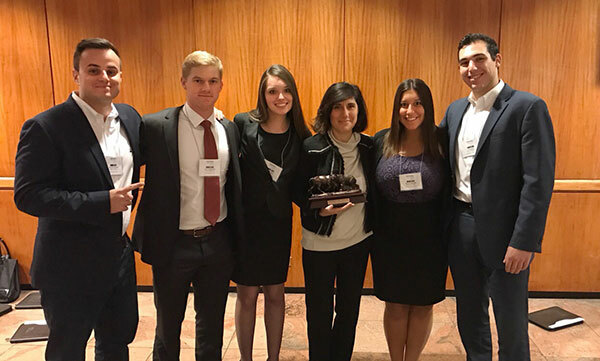 At the 2017 event in New York City, the Archway team won First Prize in the Growth Category. 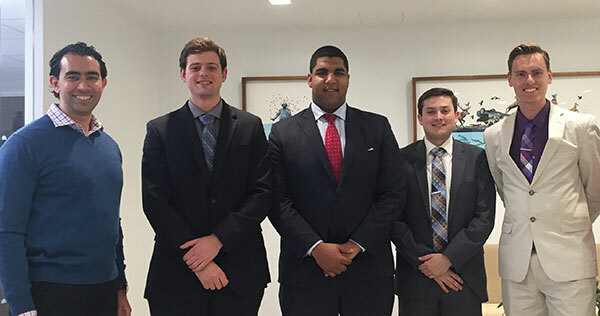 Four AIF student portfolio managers traveled to New York City to present stock recommendations to alumni professional fund managers.